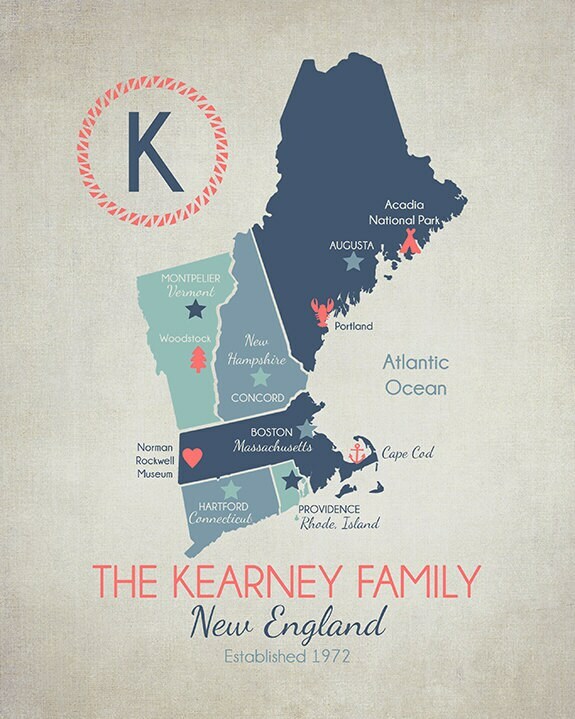 Custom Map of New England! A great map to celebrate this special area of the United States. 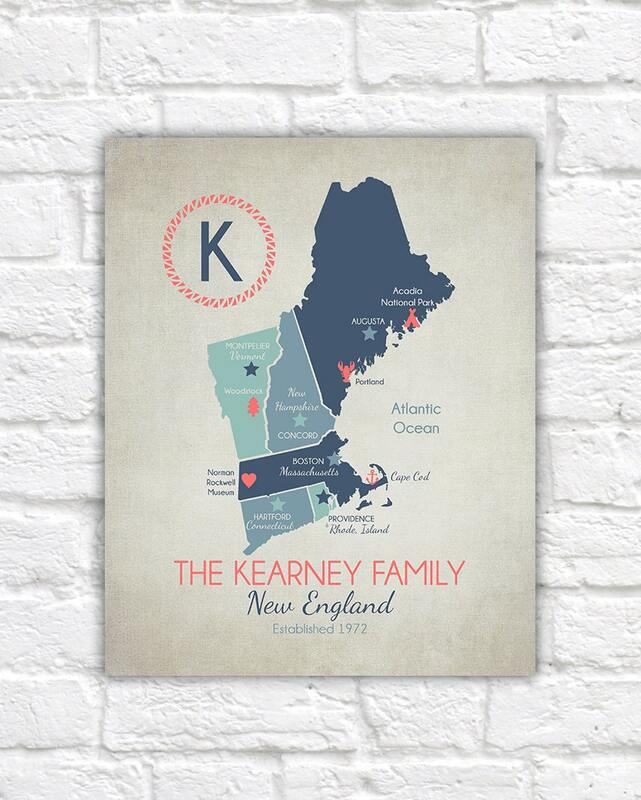 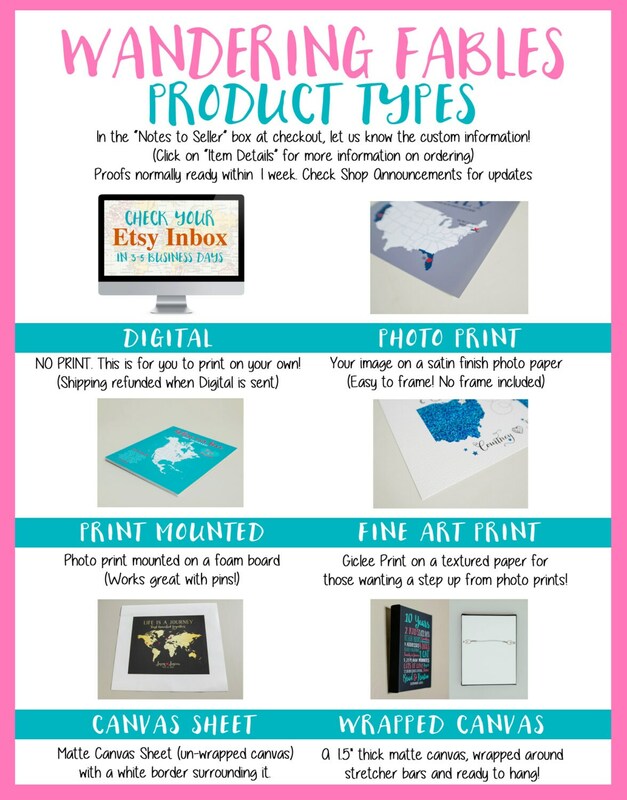 Whether it's where you vacationed, grew up or got married, this is the perfect map to add to your home decor to celebrate your love for New England!